The Primer is Intense’ 130mm travel 29er trail bike. Then again, given growing competition from online direct-sale companies, along with more aggressive pricing from the bigger (and arguably better resourced) brands, perhaps it was only a matter of when, not if. But while there are surely many good reasons for the change, this isn’t the place to debate them. 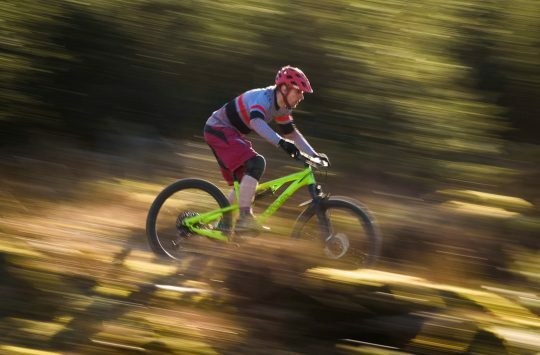 This is a bike test after all, and it’s one that just got a whole lot more interesting. For two thousand very good reasons. For 2018, there are five complete Primer models available, starting at £2,899 for the Foundation build, and topping out at £6,999 for the Factory spec. The three top builds make use of a lighter SL carbon frame, which can also be purchased on its own for £2,299. Each Primer is available in four sizes from Small through to X-Large. It’s an eye-popping colour, but we like it. Pulling the Primer out of the box, I was presented with stunning turquoise lacquer set off with bright neon lime graphics. It somehow manages to look simultaneously classy yet still very much in yer face! Sculpted out of carbon fibre, the frame is very aesthetically pleasing and strikes a perfect balance, which I hereby proclaim ‘industrially organic’. The front triangle is actually common to Intense’s own ACV 27.5+ bike, but the rear triangle is all Primer. You might question the logic and additional tooling costs of such a decision, but Intense has shaved weight from the rear triangle and found room for a front mech at the same time. There’s also a set of bottle bosses inside the main frame, and internal cable routing keeps things looking clean and uncluttered front to back. Gorgeous lines on that carbon swingarm. As we’re testing the Expert level build, we miss out on the chi-chi SL frame. 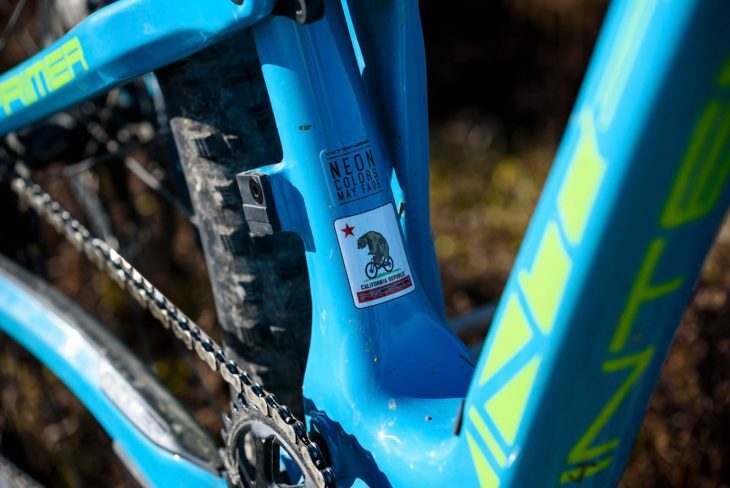 The cheaper frame here uses a different carbon layup, steel hardware (instead of titanium) and an alloy upper linkage, which adds about 250g of mass over the SL version. Since the VPP patent expired a couple of years ago, Intense has replaced the platform with its own JS Tuned linkage. 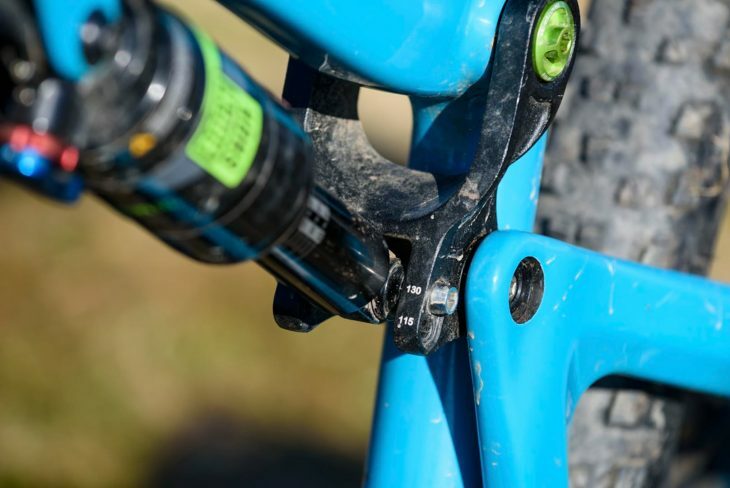 You’ll still find two small links that rock the swingarm in a similar fashion, but the length and orientation of the links have been changed to provide a more dynamic ride that retains brilliant pedalling performance. I hardly ever reached for the shock lockout. You’ve got two travel options here. The lower link has grease ports for maintenance duties. While Intense has spec’d what looks like a rather fiddly Boost 148x12mm axle, once you figure out which way to turn it, and which bolts you need to undo, it’s actually quite simple and secure. Finally, there are integrated rubber frame protectors on the downtube and drive side chainstay to fend off rock strikes and keep the noise down. 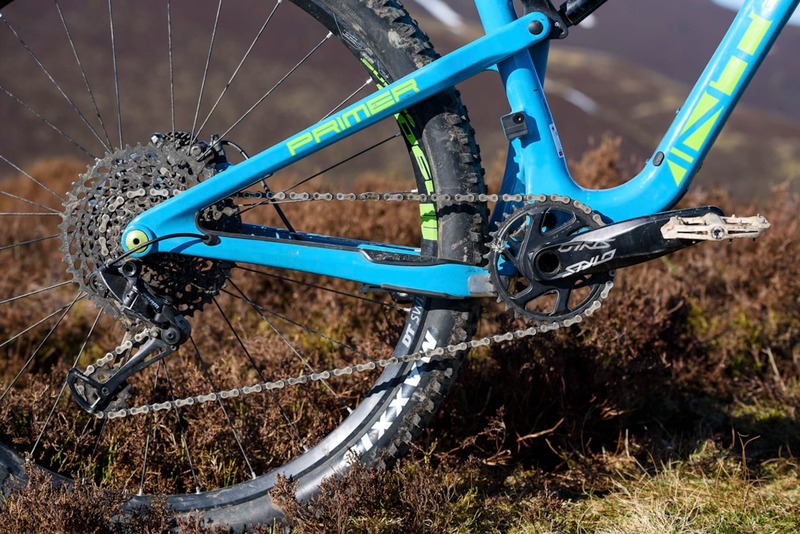 You’d be forgiven for expecting to see a host of own-branded components as a sacrifice for getting a full carbon frame and SRAM Eagle for only £3,300, but you’d be very wrong. 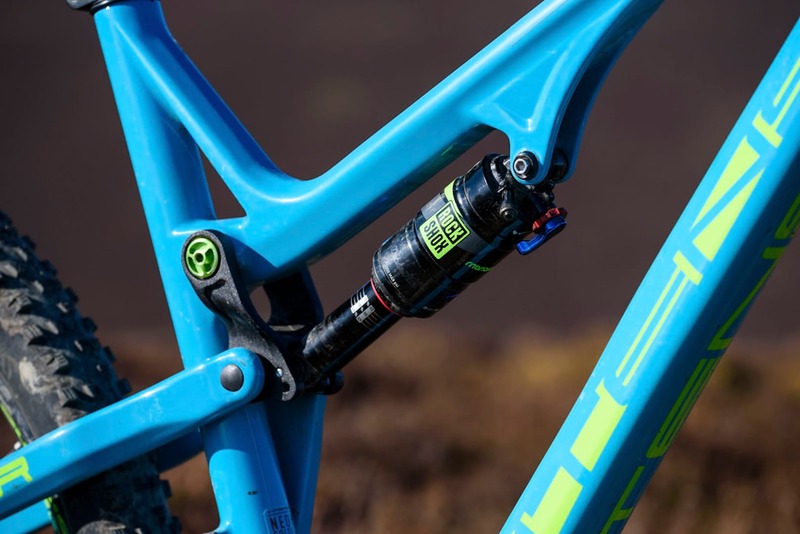 Suspension comes from RockShox, with a Revelation RC 140mm travel fork, and a Monarch RL out back. Revelations have always been a solid performer and are even more so now they share the same 35mm chassis as the Pike. 140mm travel up front from the excellent RockShox Revelation fork. Unfortunately, while the Monarch performed brilliantly while open, there was a significant delay in locking the shock out – it took several compressions of the back end before it engaged with a clunk. DT Swiss is in charge of wheels with the excellent M1900 Spline wheelset, while tyres are the new 2.35in wide Maxxis Forekasters – an aggressive cross-country tyre that offers minimal rolling resistance and surprisingly high levels of grip. Finally, a classy Fox Transfer dropper post holds the comfy WTB saddle up and Renthal bars give you something to hold on to. It’s safe to say that no corners have been cut in order to hit a price point. The Fox Transfer dropper performed well. 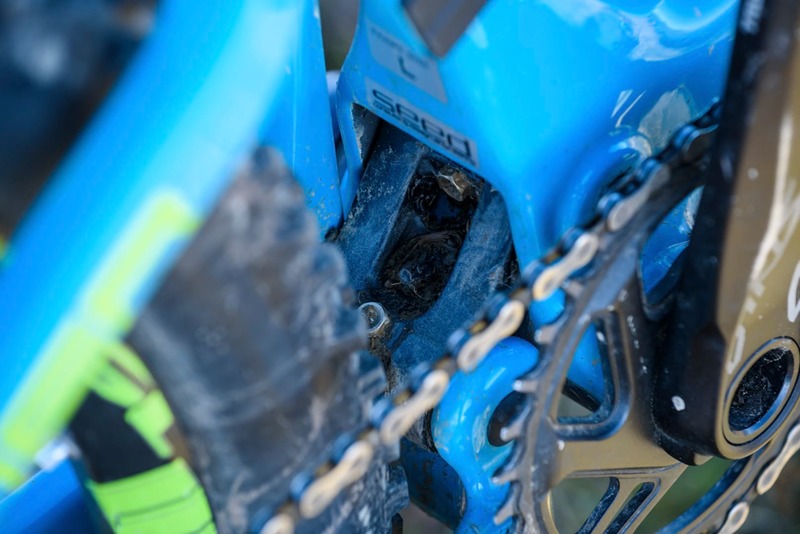 Tough DT Swiss wheels and Shimano XT brakes complete the sensible build kit. Good grief, this bike is keen. Like an excitable young puppy, it brims with enthusiasm, darting around in circles, chasing anything that moves while your riding mates make their way along in a more stately manner. More often than not I’d find myself spinning along taking it easy, while getting this strange vibe that the bike wants to be let off the leash. So, of course, I oblige. I change up a few gears, stand on the pedals, and the Primer bursts forward with frightening ease. The bright blue machine is much happier with the change of pace. There’s minimal drag from the Maxxis Forekasters, while the JS Tuned system stays taut and efficient under chain tension. The Primer has a fantastic get-up-and-go attitude. 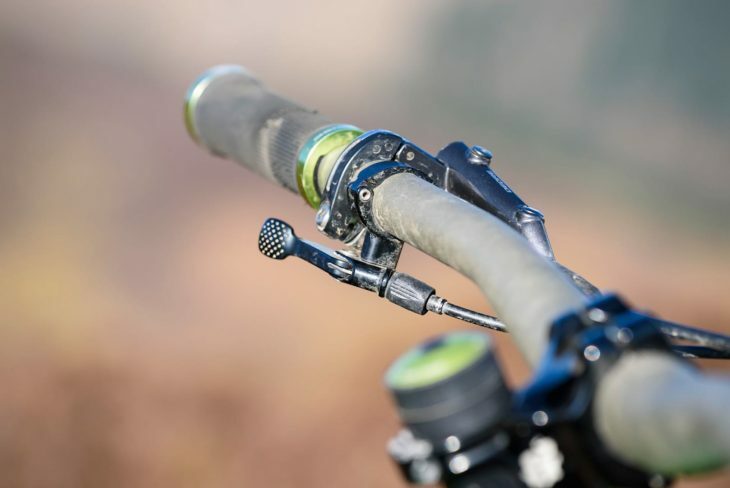 Designed to be more supportive in the mid-stroke, there was very little wallowing or pedal bob even when hauling hard out of the saddle, and unlike some more fussy suspension systems, it has a wide operating window and I was able to run anywhere from 25–30% sag with no negative effect on performance. ‘JS Tuned’ isn’t just a fancy new name – this suspension system is a drastic improvement over the flaws of the old VPP suspension system and its tendency to feel like you were pedalling inside a hammock. No wallow here – the JS tuned design performs to a very high standard. 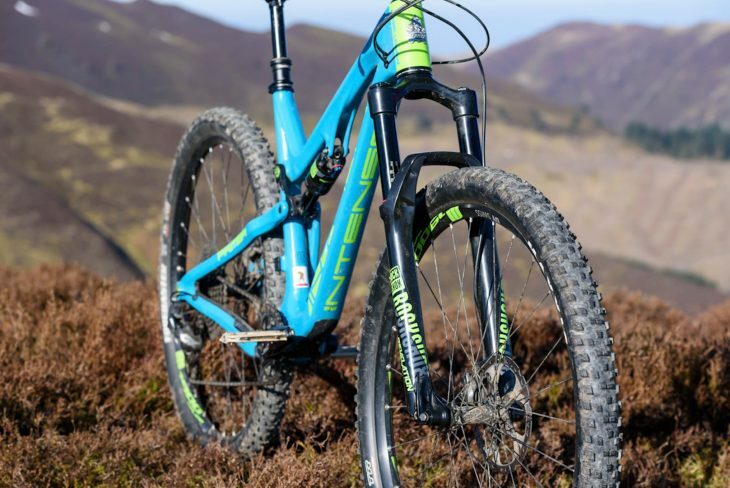 Quickly to the top and onto the fun stuff, the Primer is no slouch when it gets there and its enthusiasm on the climbs is matched by a nimbleness that belies the 29in wheels. With a reach of 453mm (size L) and a head angle of 67.5°, it’s by no means the longest or the slackest bike I’ve ever ridden, but it doesn’t feel short, and it doesn’t feel nervous or twitchy either. It feels just right, and that Goldilocks vibe puts the rider in command, rather than the other way round. 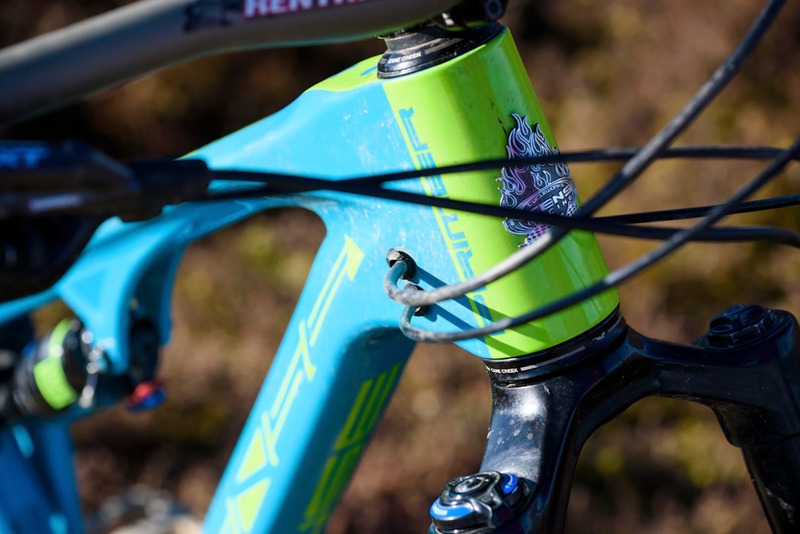 Having said that, if you prefer a bit more length in your bikes, be aware that the Primer has a relatively tall seat tube and that limits dropper post insertion. So the usual trick of sizing up to gain some reach might be out of the question (at a shade over 6ft, I personally found the sizing spot on). The seat tube is a little too tall, reducing the option to upsize for more reach. 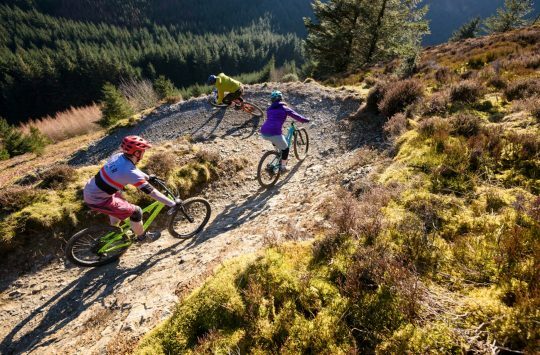 Really though, it’s only when things get really steep and technical that the bike starts to get overwhelmed and out of its depth. The 760mm Renthal bars don’t help and a wider set would bring back some control. The other thing I’d look at changing is the front tyre. 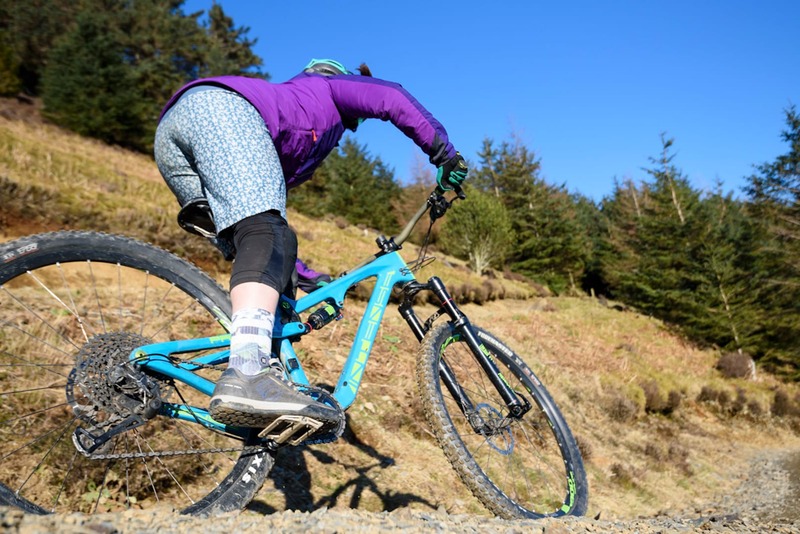 The Forekasters are a great cross-country tyre, roll quickly and provide enough traction out back, but I can’t help but shake the feeling the front tyre is trying to kill the party. The Primer has loads of zip and loves to play on the trail. 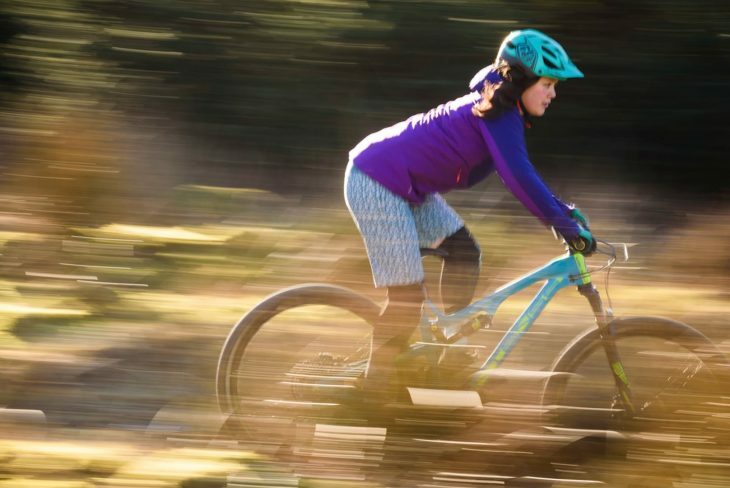 Sure, the Primer is marketed as a cross-country/trail bike, and not an enduro bike, but the frame and suspension feel like they’re capable of so much more. 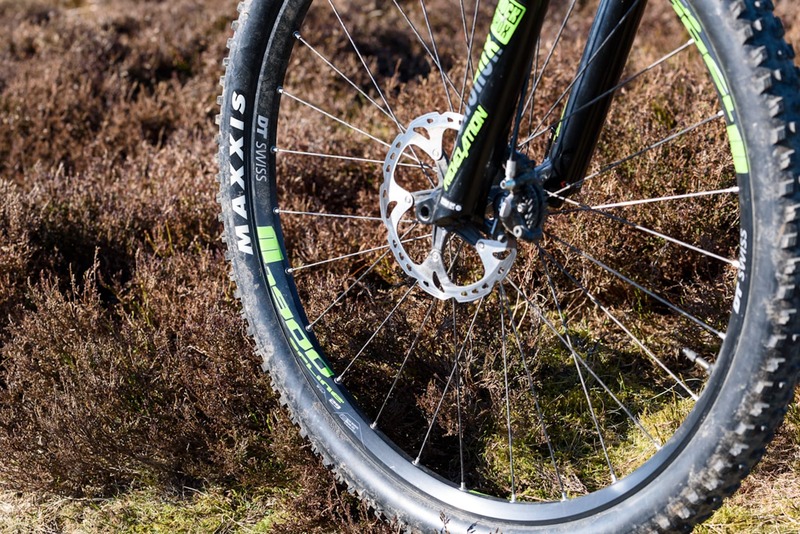 A more aggressive front tyre like a High Roller II or Minion DHR II would give that bit more traction and open things up without compromising the responsiveness that I love about this bike. One thing I wouldn’t change, even though the option is there, is the rear suspension travel. 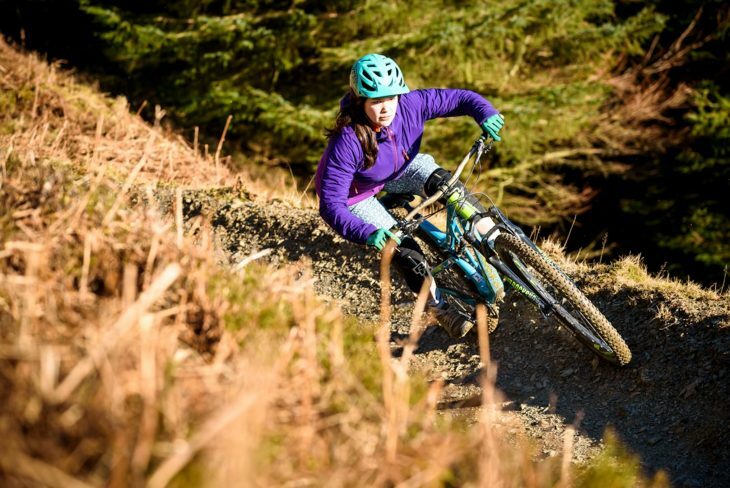 As with the Intense ACV Plus bike, you’ve got the choice of running 115mm or 130mm. But as the bike is so spritely and nimble at 130mm, I never felt the need to reduce the travel. The Primer is begging for a better front tyre than the Forekaster. Other than these minor quibbles, are there any negatives? Only the sluggish lockout on the rear shock, and that the front Maxle Lite is looking decidedly worse for wear and in danger of being unusable because it’s so heavily rounded off. I’d strongly recommend upgrading to the Maxle Ultimate. 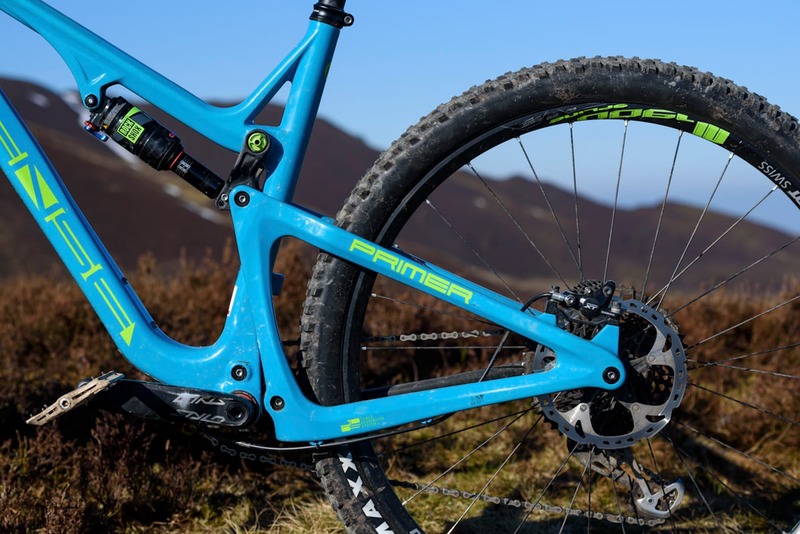 The Intense Primer is one of the best pedalling, most eager and nimble trail bikes I’ve ever ridden. 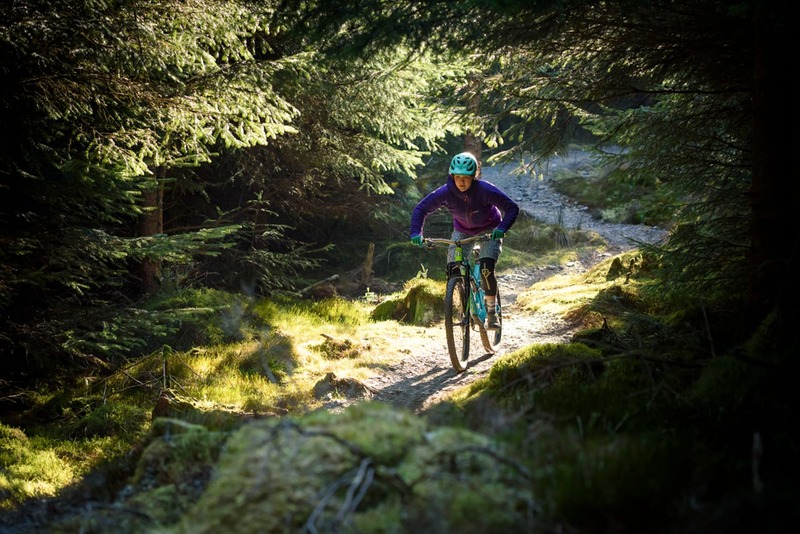 It’s a delight to ride, urging you to go harder and faster than you thought possible. 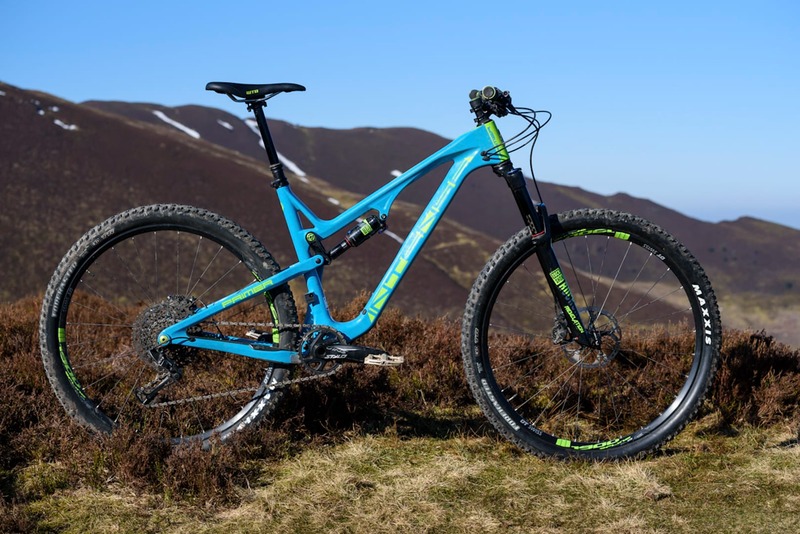 The big surprise is that it’s no slouch when the trail points back down either, changing direction with ease and handling more challenging trails than really should be possible for a 130mm travel 29er. 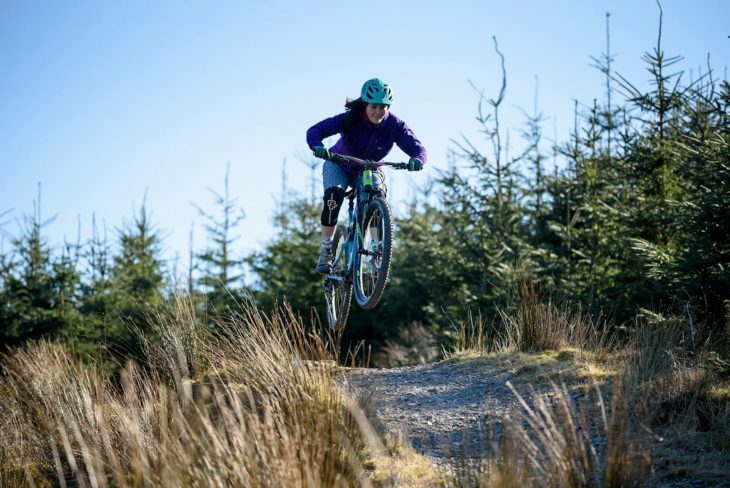 Add a more aggressive front tyre (and a longer travel fork if you’re feeling particularly saucy), and the bike will be capable of even more without sacrificing too much of that speed and acceleration that is so addictive about this bike. 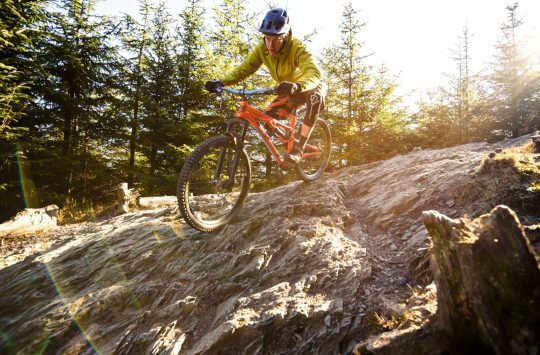 With its new, more aggressive pricing, the Primer is an appealing bike for a wider range of riders.